Keep your weapons in top shape! 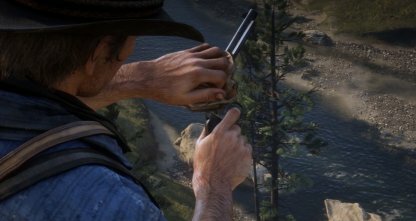 Read this guide to learn more about weapon care and maintenance and what causes weapon degradation in Red Dead Redemption 2. 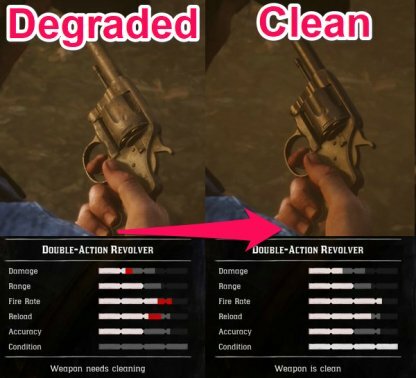 Weapons in Red Dead Redemption 2 require proper care and maintenance to prevent degradation over time. 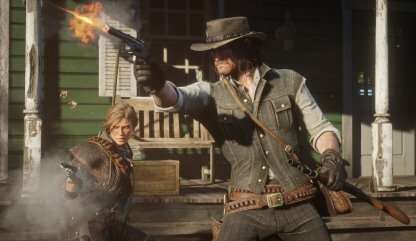 Degraded weapons will perform worse and can even cost you a fight! Once a weapon has started to degraded, it will visually begin to look dirty. 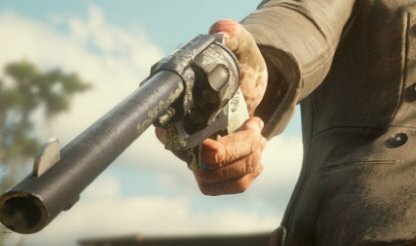 You can also notice the drop in stats, particularly in damage, reload speed, and fire rate. The more you use a weapon, the more proficient it will be in battle. However, overuse will put your weapon at risk of degrading faster and will require constant care and maintenance. 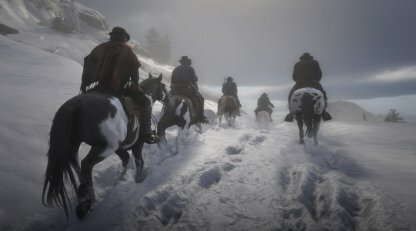 Environmental elements, such as different weather and area conditions will play a part in the condition of your firearms in the game. Clean your weapons with Gun Oil will keep it in top shape! 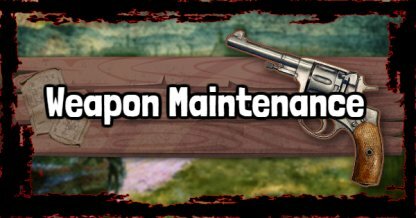 You can do Weapon Maintenance whenever you have a weapon at hand from the Weapon Wheel menu, or by visiting a gunsmith. You can pay the gunsmith to clean and maintain your weapons to its best condition. 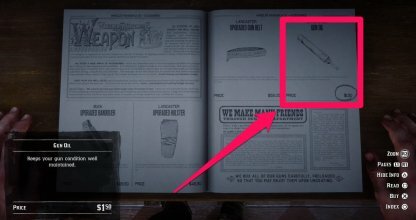 Visit your local gunsmith and select the menu by opening the catalogue. 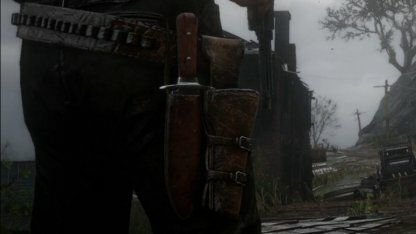 You will also need your gun to be in the best condition to add customization. Gun Oil can be bought from Gunsmiths in towns and cities. It's cheap at $ 1.50 a piece so stock up as much as you can to keep your weapons at their best condition even when you're traveling. There's also a chance that you get Gun Oil from looting dead bodies, but don't rely on this too much to get the item. It's better to just pop into a store and just buy it. Protect your weapons from environmental elements and degradation by using upgraded and reinforced holsters!